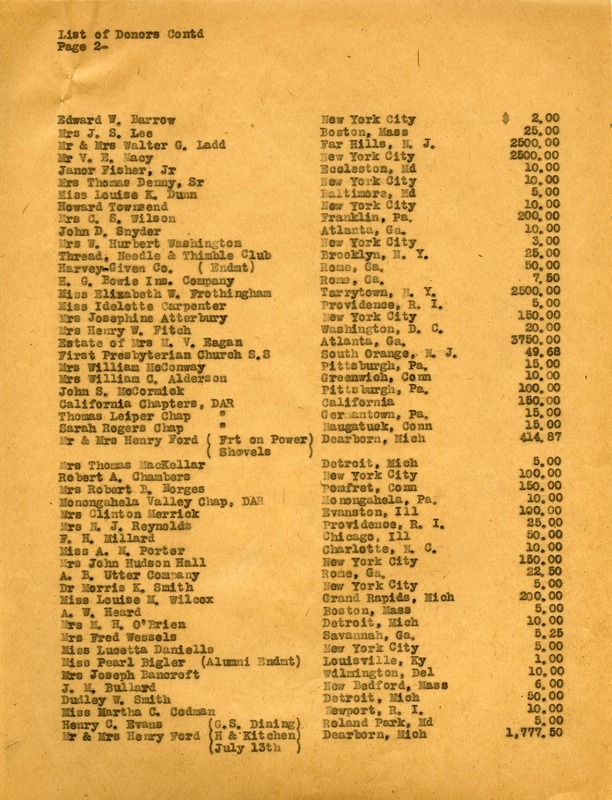 List of Donors in June and July 1927. 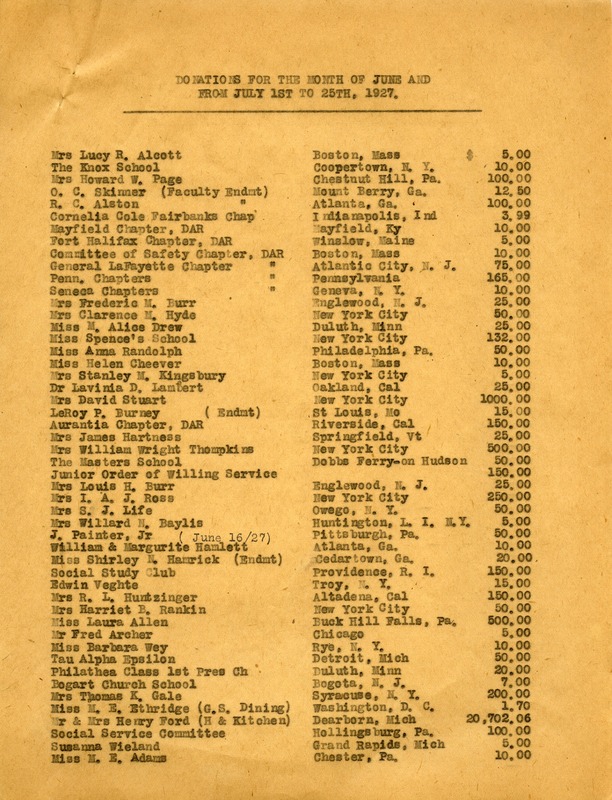 “List of Donors in June and July 1927.” Martha Berry Digital Archive. Eds. Schlitz, Stephanie A., Cassie LaJeunesse, Chelsea Risley, Aaron Jackson, et al. 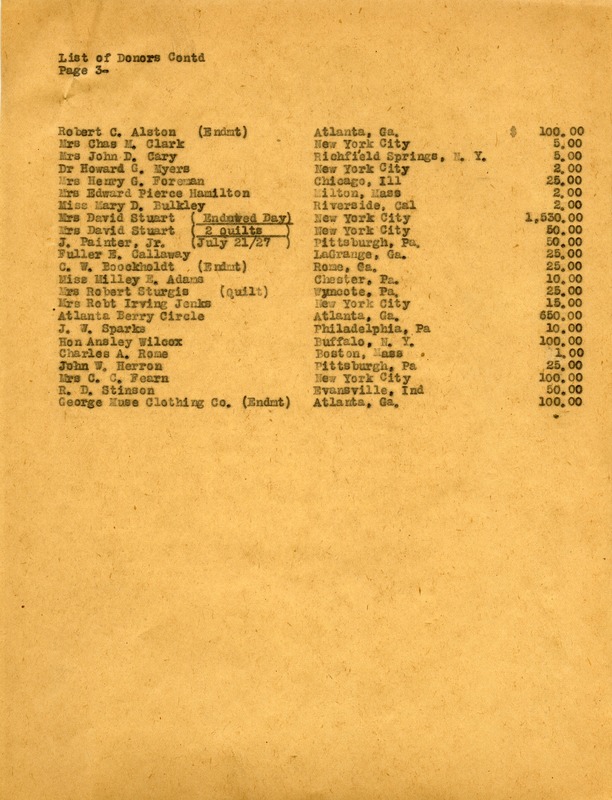 Mount Berry: Berry College, 2012. accessed April 22, 2019, https://mbda.berry.edu/items/show/5192.